Users will have six months to download their chat histories from Yahoo Messenger. If they haven’t gotten what they need by then, they’ll lose their chance forever. It probably won’t come as a major blow to most people. Although it used to be one of the most popular and widely used communications programs, its popularity has slipped markedly in recent years, to the point that there’s little justification in continuing support for it. 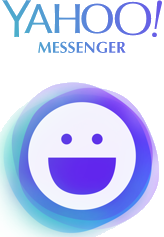 Currently, the company has no direct replacement for Messenger. The closest match would be a group messaging app called “Yahoo Squirrel,” which is currently in beta. Users interested in the new tool can request an invitation at squirrel.yahoo.com. For the rest of us, Yahoo Messenger’s loss isn’t likely to cause problems from a business perspective. This, along with Microsoft’s retirement of the venerable MS Paint, serves as a reminder that the internet is growing up. Many of the tools we’ve used and taken for granted for years are now fading away. It’s a brave new world.